Description Pullman 1915 Parlor Cash Fare Check Special No. 8 New Haven (NYNH&H) Shoreline route from New York to Boston. 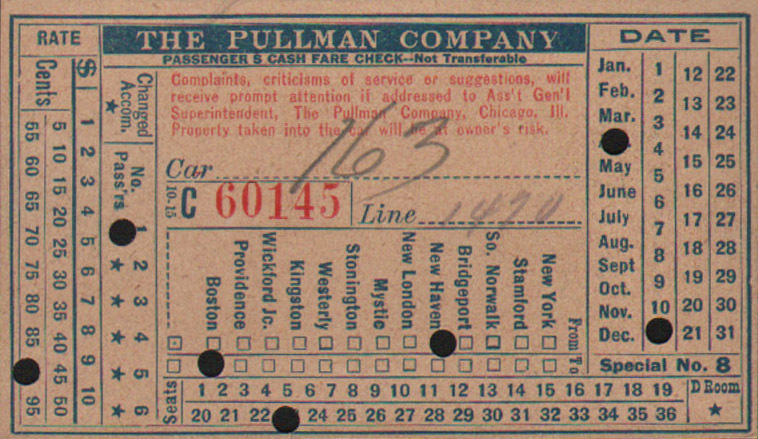 Check for ride from New Haven, CT to Boston, MA.